Does it take too long to travel to a grocery store from your residence or workplace? Or your long work hours do not leverage you enough time to buy your weekly or monthly grocery. If you are among those families, singles, couples or residents living in Dubai; who have answered ‘Yes’ to these questions, then online grocery shopping Dubai may offer you a copiously desired relief in terms of money, energy and time. Dubai has slowly and steadily developed into a remarkable online shopping nirvana alongside e-retailing advancements. The shopping bliss of Dubai offer incredible bargain hunting for purchasing electronics, household items and grocery. Online shopping arena in Dubai has excessively grown to offer you the best combination of time saving, effortless and best priced grocery shopping. Today, you may find numerous online grocery shopping options in Dubai that incredibly facilitate your weekly, monthly and daily grocery requirements. 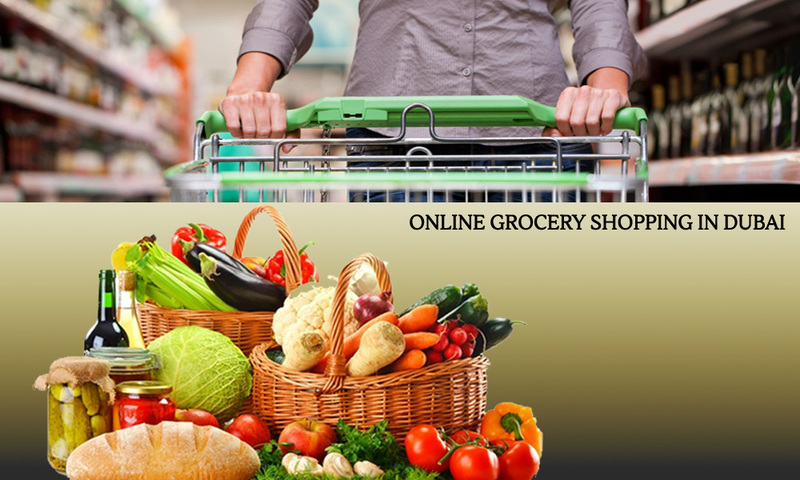 So if you wish to buy your grocery effortlessly at the best suited prices than just browse these online shopping forums to replenish your pantry. Below mentioned are some of the most preferable online grocery shopping websites in Dubai, that are credible and frequently recommended by the regular purchasers. Supermarket.ae has a great service and remarkable product range, as it owns its supermarket channels and suppliers. Supermarket.ae offers enormous product choices to its customers, including fresh and organic produce of vegetables and fruits in Dubai, dairy products, gluten free food items, multi-brand general grocery products, electronics items, health and fitness products, books, magazines, stationary, baby care products, beauty goods, sanitary items, pet food, household appliances etc. Supermarket.ae has enough speed to impress you with its super-fast delivery service. It also enchanters you by offering extra-convenient payment alternatives which include credit cards, cash on delivery and online payment. Supermarket.ae hardly takes 45 to 90 minutes for standard delivery. At this website you can also trace your order history and also select the similar list to reorder. You can also avail a special discount of 10% on your first shopping. Last but obviously not the least for Supermarket.ae; you get spontaneous updates of your orders from the time it is being packed by the time it is awaited, picked; dispatched and finally delivered. Trolley.ae offers you to buy from their inclusive product range of everyday grocery items in Dubai, cleaning and sanitary products, homecare items, beauty commodities, baby care products, pet food and accessories, household products, bakery items, vegetables & fruits, eggs & dairy, fish, meat, chicken, beef, cereals, frozen food items and organic food products etc. Trolley.ae has a very friendly, well categorized and organized user interface and web-navigation. Moreover the overall shopping procedure at Trolley.ae is very swift and uncomplicated. Trolley.ae also treats you with the convenience of cash on delivery and online payment services. Most interestingly, you can schedule your desired delivery time and can also use pop-up chat feature to talk to the assistance team of Trolley.ae. Furthermore, the order history feature of Trolley.ae remember your previous orders and marked those items as ‘already purchased’; while also enabling you to reorder the whole list. It also allows you to choose from already added ‘My Favorite’ grocery items. Additionally, text messages and emails that arrive before delivery keeps you updated regarding your purchases. Trolley.ae also offers toy 100% money back guarantee with ‘no question policy’ to retain happy customers. Géant Hypermarket offers you to select from its broad product range of general grocery items which includes bakery products, vegetables & fruits, beauty products, dairy products, frozen food, organic food, daily household items and much more. Géant Hypermarket also offers you convenient payment methods such as cash on delivery, credit card payment and online payment services. At Géant you can schedule your delivery within two hours. A customer service team of Géant Hypermarket gives you a confirmation call within 30 minutes of your order placement. Additionally, emails from their response team keep you updated regarding scheduled delivery. You can also dial Géant Hypermarket for any assistance between 10 am till 8 pm every day. Le Bazar.ae is also very famous and convenient option for online grocery shopping Dubai. It is famous particularly for its best product range and pricing. Le Bazar.ae offer you to select from a lot of fresh vegetable and fruits, organic produce, ethnic products, household products, dairy and bakery items, stationary, pet food and stuff, beauty products, dry fruits, frozen food, medicated, sugar free and gluten free products. In order to shop with Le Bazar, you need to get registered. Le Bazar search options are efficient enough to quickly find your required product. It also allows you to pay online or by cash on delivery. One special feature of Le Bazar is that you get a bonus of 20 AED, every time you referral shop from this website. Early Bird is another online option that you can opt to, while incisive to shop your grocery in Dubai. The website offer a wide collection of grocery as well as electronic items. You may also find cosmetics and beauty products, fresh organic and processed produce, beverages, breakfast and bakery items, dairy and snacks, sauces, condiments and spices, ready to eat food item, home appliance, housekeeping, pet items and other featured products. The website has a simple process for shopping and does not involve complex processes of registration. Early Bird is the right choice to get your bulk grocery items timely delivered to your doorstep. The website also keeps on proposing special discounts and promotional offers. Early Bird also offers free delivery if you order only once a week, however, charge a little for daily services. It also facilitates you to define your own time of delivery. Moreover, if you order online, but collect your good yourself from their specified collection points, then you get a discount of 7% on your overall purchase. These are the best platforms for online grocery shopping in Dubai. They are the most preferred and highly recommended by the regular buyers. To recommend more options please comments below. online shopping of grocery is amazing there are number of offers and money saving deals available online .I always shop online .